Denny Jump (Bellevue, WA, United States) on 7 March 2017 in Abstract & Conceptual. 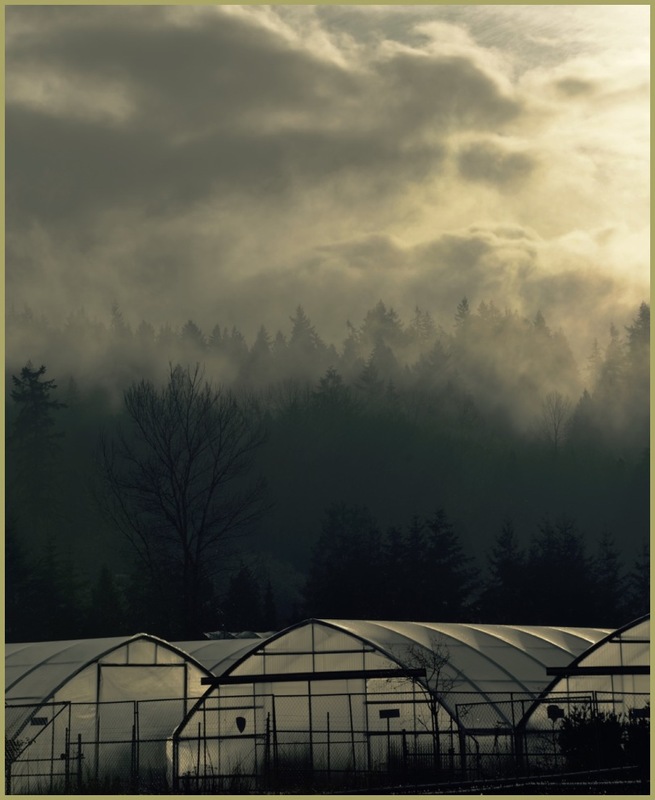 Most spooky fog scenes come from "Spooky Fog Greenhouses" like these. Your light is just divine and the upper part so impressive, like a romantic painting ! A very moody find and so well presented as to image style. I think I would have cropped off the plant-houses as the strong message is in that mysterious landscape yonder. Both photos are interesting for me, this one richer maybe due to the contrast but Ronnie's right too since your sky is theatrical and gorgeous ! such beautiful composition, layers, tone & lights! Right out of a horror movie! Wonderful composition! Great combination of layers. Spooky indeed! One wonders what really goes on in the greenhouses below....? Wonderful sky, great with the greenhouses.